Robin is a conservatory trained concert harpist with a Master of Music Degree in harp performance from the Eastman School of Music. 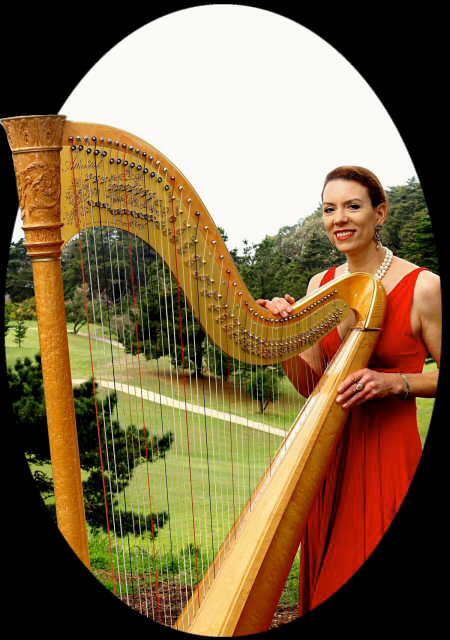 In her career as a harpist, she has worked as an orchestral musician and freelance soloist in the Boston and San Francisco areas. Her repertoire consists of a wide range of classical, popular, ethnic, and standards. She has performed for weddings and functions for over twenty years, and was featured daily for fourteen years at the Ritz-Carlton Hotel as the official harpist for high tea. Copyright 2009 Robin Chudy Harpist. All rights reserved.